My name’s Camille Cooley. 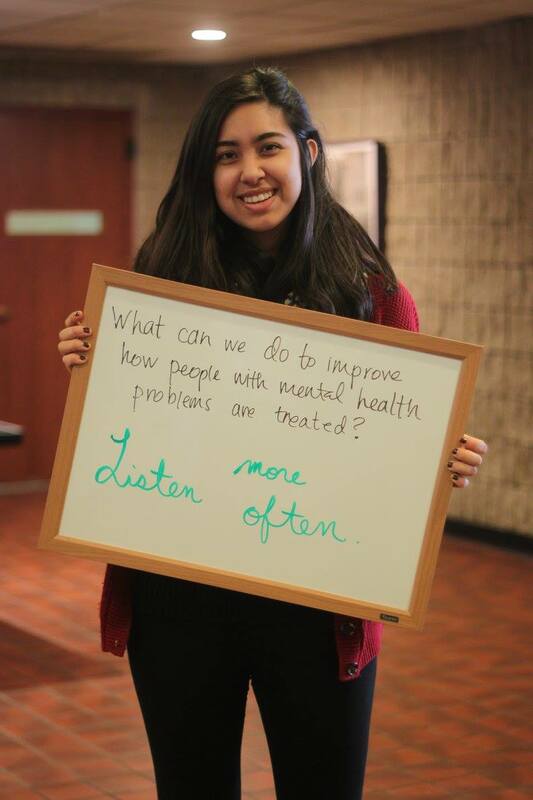 I’m a sophomore in SESP studying HDPS (Human Development and Psychological Services), and I’m working as the mentor for the World Day of Social Justice committee this year! Each year a GlobeMed committee plans the World Day of Social Justice, a daylong event that will take place this year on February 23rd at the Norris Student Center. The World Day of Social Justice, or more affectionately known as WDSJ, aims to promote awareness and efforts regarding issues such as poverty, exclusion, unemployment, and all other social justice issues that plague both international communities and local ones. I worked on the WDSJ last year and found the entire process really eye-opening. Planning the event and discussing what we wanted to achieve was an opportunity for me to explore broader social justice issues on a global and campus wide scale, while becoming intimately involved with an event that would help bring awareness to our topic. I really wanted to help out this year because I knew it would be a special opportunity to foster more dialogue, give my team and I a chance to be creative, and plan a day that brings an issue we care about to light. Grace Jing, Kathleen Clark, and Aysha Salter-Volz are the spectacular people I’m working with this year. They have come up with some pretty amazing ideas that we’re still parsing through. However, something important that we’ve been discussing recently is that social justice issues don’t just end when the media stops paying attention to them. It is always important to focus on what effects people’s lives, despite the fact that issues constantly fall off the radar when the media loses interest in telling their stories. Instead of treating social justice issues as trendy news topics or points of discussion, we should acknowledge that all social justice issues deserve to be recognized and fought for. We can move forward in making change by keeping productive dialogue open, staying educated, and bringing awareness to local and international issues through events like the WDSJ.